The newly appointed Korean Financial Supervisory Service (FSS) Governor Yoon Suk-heun has stated that regulation should help the cryptocurrency market grow. He spoke during an address yesterday following the confirmation of his appointment by the nation’s president. Yoon will take up his new role officially on May 8th. He will then hold a press conference that will no doubt address cryptocurrency once again, as well as other financial matters facing the nation of Korea. Attending this conference will be local and foreign media. The FSC and the FSS are both Korea’s financial watchdogs. The FSC takes the role of checking and monitoring policies implemented by the FSS. Earlier, these regulators banned Korean citizens from creating anonymous cryptocurrency trading accounts. This regulation also prohibited minors from using digital currency exchanges. Meanwhile, Korean lawmakers are actively seeking a reversal of the ICO ban that was declared in September 2017. The rule stated that all initial coin offerings except those that met certain agreed upon conditions were to be outlawed. However, a new bill is being drafted that would legalise future ICOs, although it is believed that it could take several months to see a verdict on the proposed bill. Despite the seemingly back-and-forth stance by Korean regulators, cryptocurrency trading remains a popular activity in the nation. 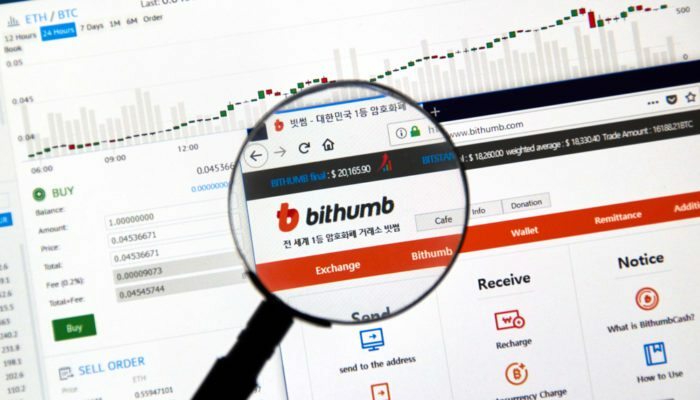 At the exchange Bithumb, a total of $888,020,454 were traded over the last 24 hours (at the time of writing). Meanwhile, fellow Korean exchange Upbit facilitated almost $1 billion worth of trades over the same period. These figures come courtesy of CoinMarketCap. South Korea to Ease Cryptocurrency Trading Regulation, Highly Optimistic was last modified: May 7th, 2018 by Rick D.